“the totality of the Church’s efforts to make disciples, to help men believe that Jesus is the Son of God so that believing they might have life in his name, and to educate and instruct them in this life, thus building up the body of Christ” (#4). “is an education in the faith of children, young people, and adults which includes especially the teaching of Christian doctrine imparted, generally speaking, in an organic and systematic way, with a view to initiating the hearers into the fullness of Christian life” (#5). The Diocese of Rockford, guided by its chief teacher in the person of its Bishop, embraces these concepts which reflect our tradition from the very first days of the Church which have been continually re-articulated and re-emphasized by the Magisterium in its efforts to share the Good News of Jesus Christ. In response to the needs of the people of the Rockford Diocese, diocesan Catechetical Leaders in concert with Bishop Thomas Doran look to several key catechetical resources in shaping a vision for catechesis: the Catechism of the Catholic Church, Vatican: Liberia Editrice Vaticana, 2nd edition, (1994), the General Directory for Catechesis from the Vatican (1997), the National Directory for Catechesis (2005), Our Hearts Were Burning Within Us: A Pastoral Plan for Adult Faith Formation in the United States (1999) and Renewing the Vision: A Framework for Catholic Youth Ministry (1997) from the US Bishops. Catechesis Is Christ-centered – The heart of catechesis is Christ. To catechize is to reveal in the person of Jesus Christ the whole of God’s plan fulfilled in Him. Christ is the mediator and fullness of God’s revelation. The object of catechesis is to put people in intimate communion with Christ who is the way, the truth and the life and leads us to the love of the Father in the Spirit and makes us share in the life of the Holy Trinity (CCC 426-427, GDC 36-41, NDC 19B, OHWB 7-11, RV 10). Catechesis Is Evangelizing – Catechesis is understood to be an essential moment in the process of evangelization. The Church exists in order to evangelize; it is Her deepest identity. Evangelizing catechesis aspires to foster a living, explicit and fruitful profession of faith (GDC 63-66, NDC 15-17, OHWB 45-63, RV 36-37). Catechesis Is Systematic and Comprehensive – Catechesis must be systematic and comprehensive such that a person receives knowledge of the entire content of the faith, especially: the creed, the liturgy and the sacraments, moral formation, prayer, community life and the mission of the Church (GDC 85-87, NDC 20, OHWB 88-96, CCC 5, RV 19-20). Catechesis Is Modeled on the Catechumenate – Catechesis is more than instruction. It offers a complete initiation into a life of discipleship, which serves as an apprenticeship for the entire Christian life (GDC 29, 65-69, NDC 19D-20, 29H, 35 D, OHWB 81). Catechesis Interprets and Illuminates Human Experience – Experience is a necessary medium of God’s revelation, and so, the catechist must assist the faithful in learning to interpret and illuminate their experience with the data of faith (GDC 152, NDC 29A, OHWB 82-83). 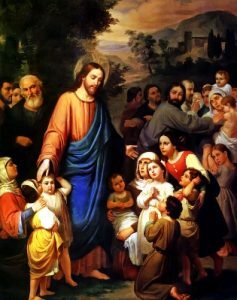 Catechesis Inculturates the Gospel Message – It is necessary to inculturate catechesis in such a fashion that the Gospel message retains its power and efficacy and resonates with the people to whom it is addressed (GDC 112, 202-206; NDC 21C, 25 F, OHWB 84-87). Catechesis Is Lifelong – Catechesis of adults is a priority: it is the principal form of catechesis, the organizing principle and axis around which all other catechetical programs revolve (NDC 48A, GDC 59, 275, OHWB 38-44, 129, RV 28-33). Catechesis Is the Responsibility of the Entire Parish – The Church is the natural environment for growth in the faith, i.e. the origin, locus and goal of catechesis, which necessitates that all parishioners have a role to play in the formation of its members. In this sense, the entire parish is responsible for catechesis and acts as the curriculum (NDC 19C, 29 B, C; GDC 158; OHWB 118-121, RV 11-15). Catechesis Respects Human Dignity – All catechetical efforts must recognize, reveal and respect the inviolable dignity of every human person which is rooted in each person’s creation in God’s image and likeness (GDC 19, NDC 41). Catechesis Necessitates Ongoing Catechist Formation – The call to ministry of catechist is a vocation, involving an interior call to serve as mediator, witness, teacher and educator for the mysteries of the faith. This role demands ongoing formation in doctrine, resources and methods for presenting the faith (GDC 156, 238-245; NDC 54B, 55, 29E, OHWB 149-153, RV 40-42). With God’s blessing and the guidance of the Holy Spirit, Catechetical Leaders and catechists throughout the Diocese of Rockford embrace these principles in such a fashion so as to revitalize catechesis, and in doing so, transform believers into disciples of Jesus Christ.